I got it from an anime convention thinking it was the Zoro Shusui for my cousin. 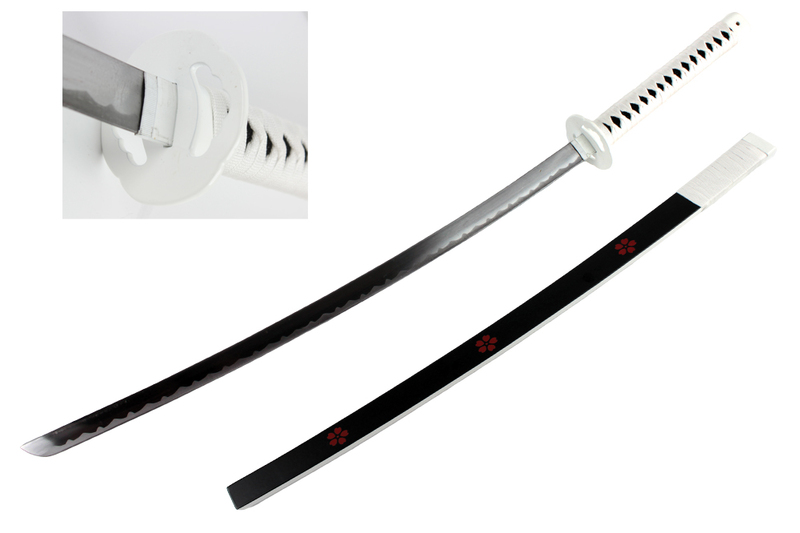 I found a site that appears to be selling this exact sword...and I hate to disappoint you, but they themselves make no reference to any anime. It is merely a fantasy sword. I'm pretty positive that there is no character in Bleach that has a sword that looks like that. And as for Zoro Shusui, I'm sorry to disappoint you, but it's not a very good replica. What exactly is a Pencil Board? Was only Death Note Box Set 2 reprinted? What anime is this female anime figure in blue uniform from? What anime are these figures from?